which surrounds us. From the spiral of the Nautilus sea-shell to radiating sunflower seed patterns, the list of natural examples of Phi is close to endless. Phi is an irrational number that approximates to 1.6180339887 and can also be expressed as a mathematical constant. 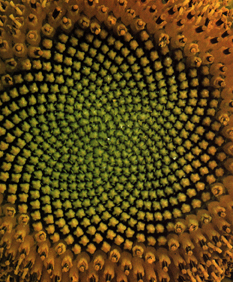 In addition to mathematics, Phi is also important to art and geometry. 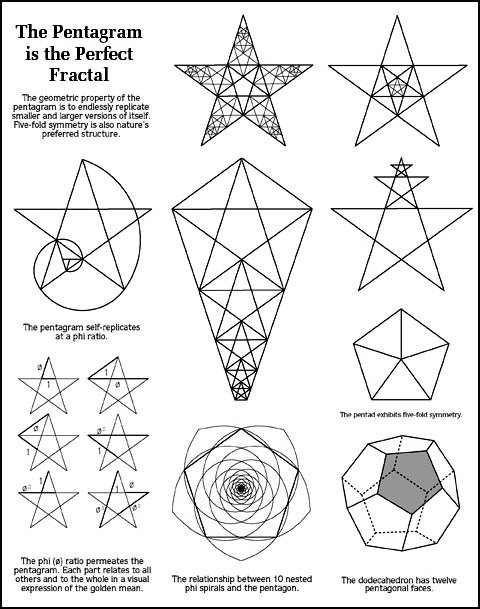 For instance, in geometry, the five platonic solids; the tetrahedron, hexahedron, octahedron, icosahedron and dodecahedron are all prime examples of beauty in mathematics (as many of their proportions also conform to phi). The pentagram, and therefore the dodecahedron perfectly shows the recursive properties of Phi. At first, I envisioned the physical dimensions of the Mythos Arcanum book itself as conforming to a phi ratio. This was before I fully considered how prohibitive the price would be to produce a small book run that does not conform to established book sizes. Also, trying to find a place for a taller book can be problematic and less user-friendly. Inside the layout template, the quarter page illustrations conform to the golden rectangle. Underlying the placement of key page elements, such as title and page numbers, is the page grid which reinforces the proportions of Phi. There was also an increase in the number of pages due to the larger proportion of white space to text. 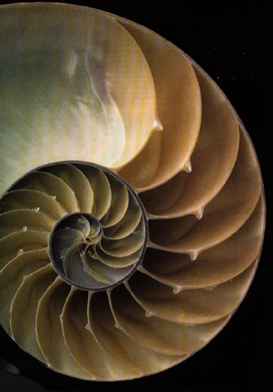 The advantage of using the golden mean in book design is gains in increased comprehension. Also increased readability is achieved because the proportions are more appealing and accessible. People respond to beauty. They are attracted to beauty. Beauty communicates, though it may be so subtle as to escape notice, there is definitely a positive effect. It is thus that I hail my client, Joe Aragon, with the exceptional vision and good grace to request phi in the first place, thereby allowing beauty to express itself.